At the latest Saturday Summary at Weatherbell Analytics, Joe Bastardi, a well-known 40-year veteran of meteorology, looks at tornadoes and hurricanes. 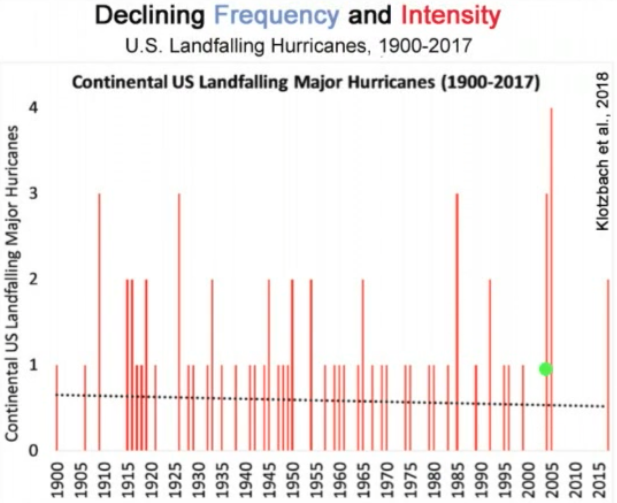 Although many meteorologists and climatologists confirm that there is no data suggesting global warming is causing more frequent and intense tornado and hurricane activity, there is a small but influential alarmist group who claim otherwise. And it’s no surprise who the click-baiting media parrot at maximum volume. By “people” here, he means the climate-ambulance chasing media, scientists and public figures who seize upon every weather anomaly and claim it’s a sign of manmade global warming. 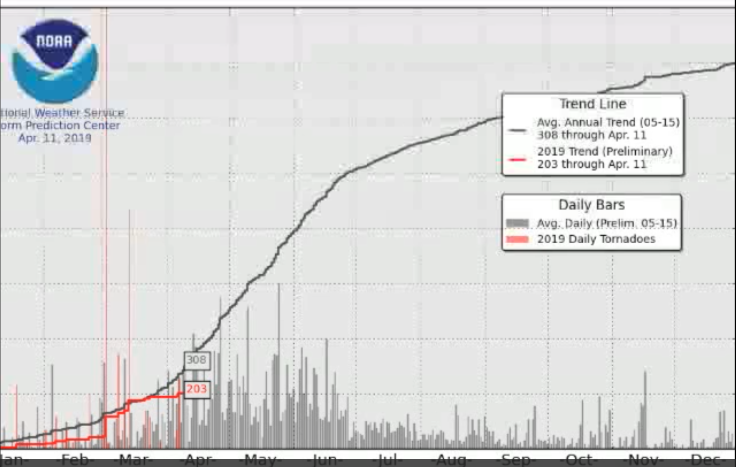 Also the former veteran AccuWeather meteorologist points out that the alarmists like to forget that there was a record setting 10-year hiatus for major hurricanes striking the U.S from 2005 to 2015. Here he suggests that the warming of the past 117 years may in fact be contributing to the downward trend. 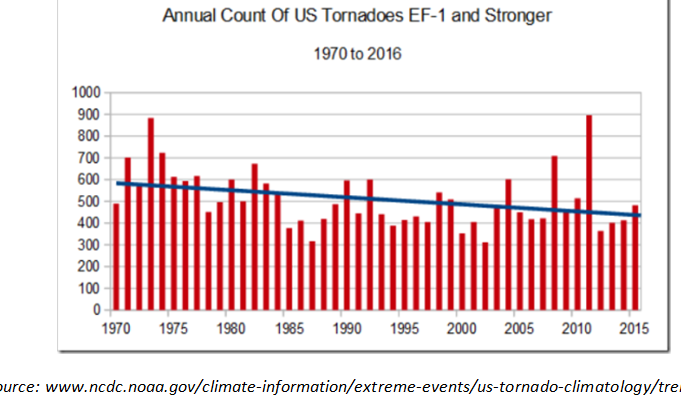 As the NOAA chart clearly shows, tornado activity has fallen over the past 50 years. Here as well Bastardi says we’ve “been sold a bill of goods” concerning claims that climate is making tornadoes worse. Image cropped from April 13, 2019 Weatherbell Saturday Summary. ← Why Attenborough’s Walrus Claims Are Fake.